What is an agogo bell? The primary distinguishing characteristic of this instrument as compared to the other bell musical accompaniments is the cone-shaped structure. Oftentimes, it comes with dual bells to create tonal variations. Generally, it was invented to preserve the Yoruba style of music whereas the Samba ensemble was being played to nourish the culture and tradition of the classical music. As you noticed, the sounds produce by the Agogo bell were bright, high-pitch, and interesting depending on the beats and tempo. Typically, this instrument was used to play together with the drums, cymbals, or timbales to create artistic sounds and rhythm. 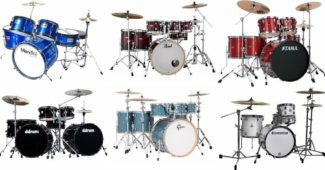 You may select among the products listed in this article as your guide in buying this instrument. 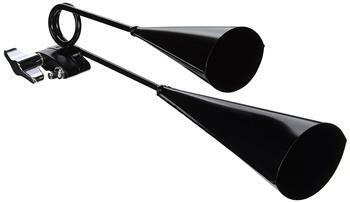 These are the best agogo bells for the money. 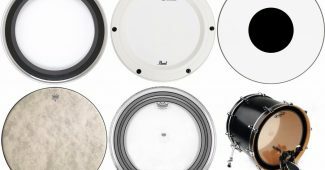 Take a closer look among the Gon Bops, Latin Percussion, Nino Percussion, Rhythm Band, Suzuki Musical Instrument Corporation, and Meinl Percussion reputable brands. 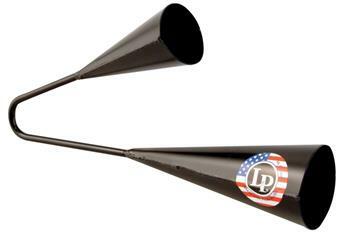 Latin Percussion LP231A Check here! Nino Percussion NINO505 Check here! Rhythm Band RB702 Check here! Suzuki Musical AB-200 Check here! Check this Gon Bop’s Agogo bell and consider it in your music list. This product was constructed using heavy-gauge steel for durability and sturdiness purposes. It also comes in patented V-clamp structure with a mounting bracket and screw so that you can able to attach it to your rods. This can be played for Jazz, Rock, and Latin type of music since it portrays less sustain, and drier sound with minimal tone. 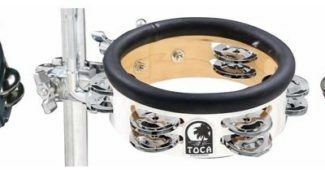 This instrument is a perfect combination for your drum set and timbales. 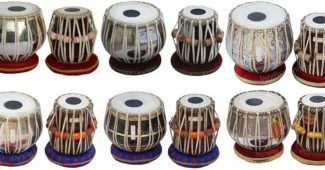 In addition, this percussion is just offered at a cheap price so it’s a budget-friendly instrument to try. 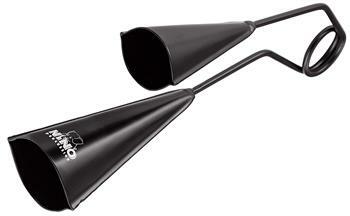 A low pitch and bright timbre can be achieved with the use of the Latin Percussion’s Agogo bells. The sound of their musical instrument resembles the bells from the Bahia area found in Brazil. In addition, the product itself was simple yet uniquely covered in a sleek black coat. This is a great percussion to try for a practice or for a gift since this was offered at a very affordable price. 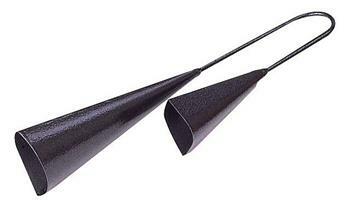 Learn to play the rhythm, timbre, and beat of the Agogo bell offered by the Latin Percussion. This musical instrument was designed with an ergonomic handle, two bells in tonally distinctive sounds, and coated with black powder for a sleek appearance. Moreover, it contains a beater for playing the instrument. This instrument can be applicable for ages 4 and above for educational and musical purposes. The price is ideal for the budget since it was being sold for a remarkably affordable price. Explore the distinctive sounds of the Agogo bells brought by the Rhythm Band. This instrument was built with 18 gauge steel to make it durable and sleek. It protrudes brighter and relatively pitched sounds. It is a great musical accompaniment to drum sets or timbales to create a Jazz and Latin style of music. 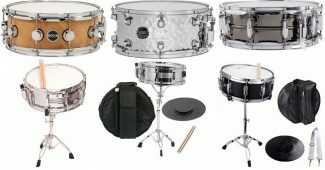 This product was a bit pricey than the first three mentioned instruments but Rhythm Band assures that it can provide the quality sounds that you’re looking for. 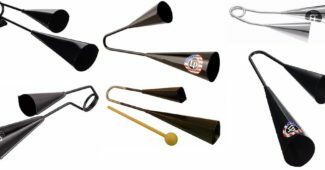 Manage your music and learn how to play agogo bells for an exciting twist and play of instruments. 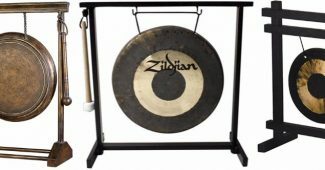 This product of Suzuki portrays interesting sounds due to its unique special sound effects and you may partner this instrument to your drums, timbales, or cymbals to come up with a variety of beats and patterns. This percussion instrument is a good choice to play for Samba, Mambo, and Jazz music. It is a great product to practice your beating and tempo because you can acquire this item in just a cheap price. If you prefer a silver colored Agogo bells, this is probably the one that you’re looking for. It’s actually a product from Meinl Percussion built in a special steel alloy and polished with chrome finish. It’s also versatile to use since you can actually move the steel for a comfortable position when beating the bells. 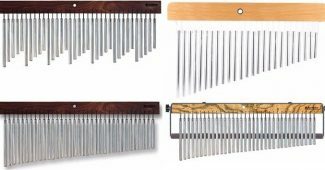 This instrument is technically ideal for Samba style of music. Don’t hesitate when it comes to the price since this is appropriate to your budget. 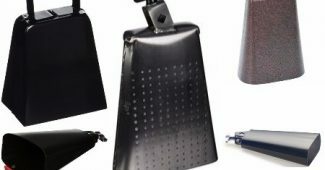 In particular with the material used for crafting the bells, the manufacturers apply heavy-duty steel to improve the durability of the instrument and make the sound compact, solid, and echoing. So, you have to assure that a heavy-gauge steel was used to construct the Agogo bell for a reliable purchase. You may check the details via online shops or inquire to the manufacturer itself so that you will have the best information needed for your purchasing. When it comes to the sound, you can actually watch video clips for the product that you want to buy and check the sounds that it protrudes. You might also check how to play an Agogo bell for your convenience especially if you are a beginner. 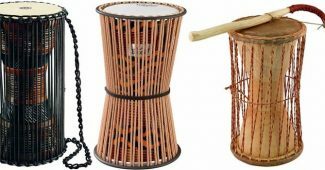 Typically, the Agogo bell emits high pitch, lively, uniform, bright, and vibrating sound which makes it a best partner to drum sets, timbales, and cymbals. Some Agogo bells were designed in a classical appearance which makes them very traditional to look at hence, it would be a less appeal to the buyers who desires for a modernized look. As a buyer, make sure that you will get exactly what you want to prevent regrets, refund, and complaints. Select the best color, size, and quantity that you desire that will suit your musical instincts and style.